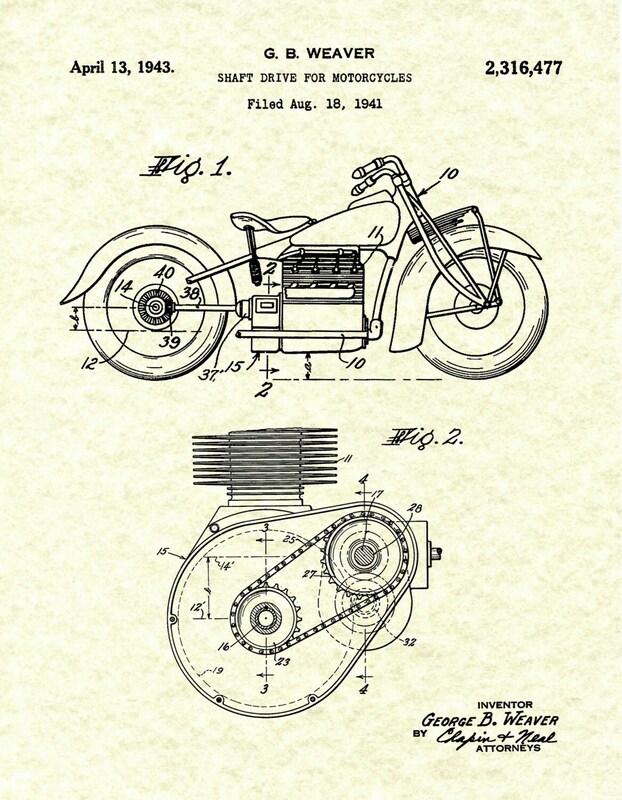 1943 Indian Motorcycle Patent designed by George Weaver for the Indian Motorcycle Company. 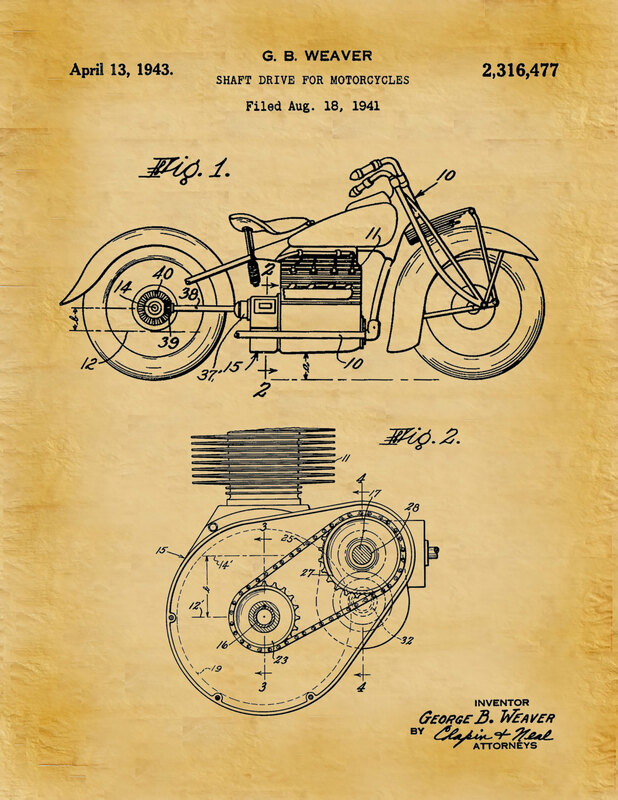 The patent was issued by the United States Patent and Trademark Office on April 13, 1941. 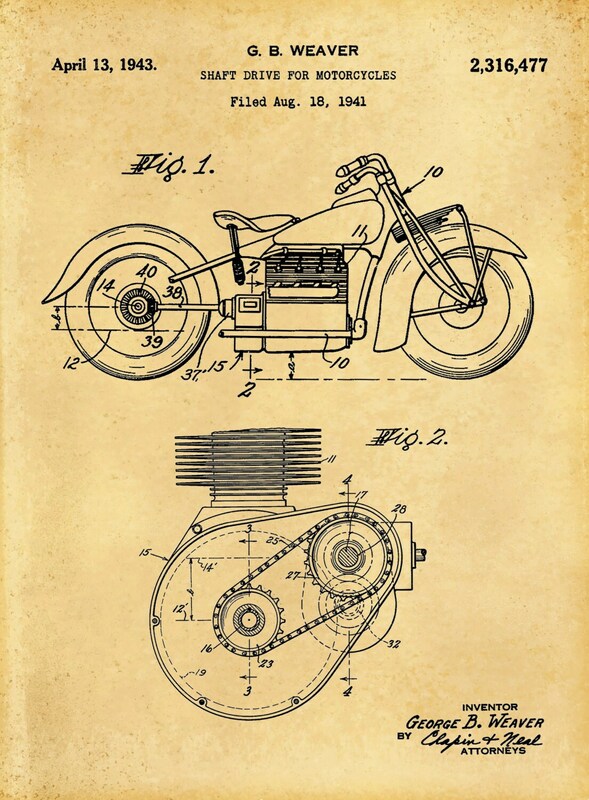 The patent design was for a shaft drive for motorcycles. 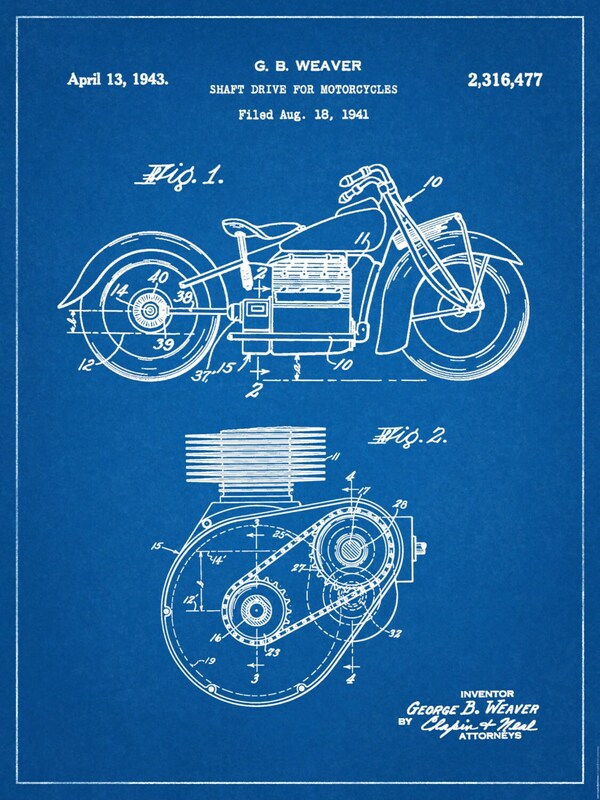 We own an Indian and this is perfect! 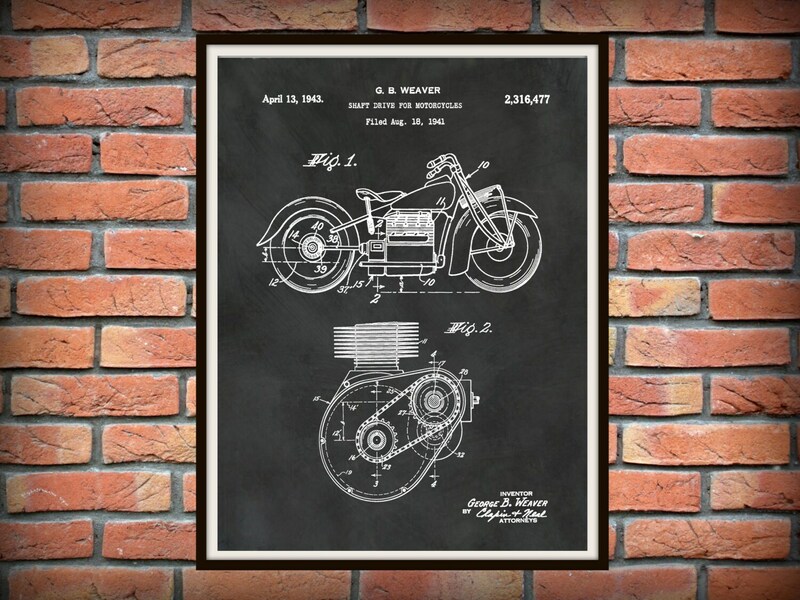 Gorgeous artwork, printed on high quality stock. Arrived in impeccable condition, and shipping was fast. Thank you! !